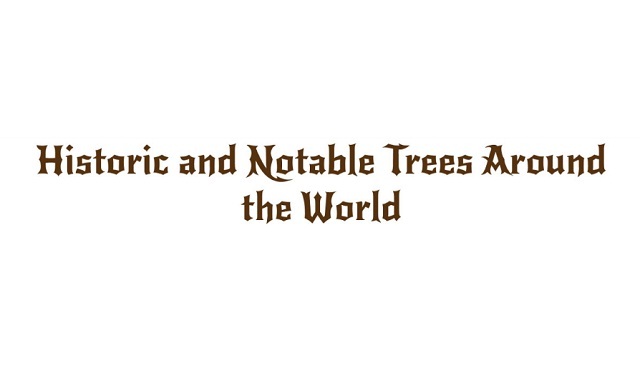 Historic and Notable Trees Around the World #infographic ~ Visualistan '+g+"
These aren't just any trees. These 43 trees are some of the most important and historically-significant trees to ever grace the surface of the planet. From Scotland to The Sahara Desert and back again, there are trees coveted as landmarks in desolate wastelands, cherished by civilizations for thousands of years, or that have been planted by an important figure or during a pivotal time in history. This infographic celebrates those trees and tells their stories for all.